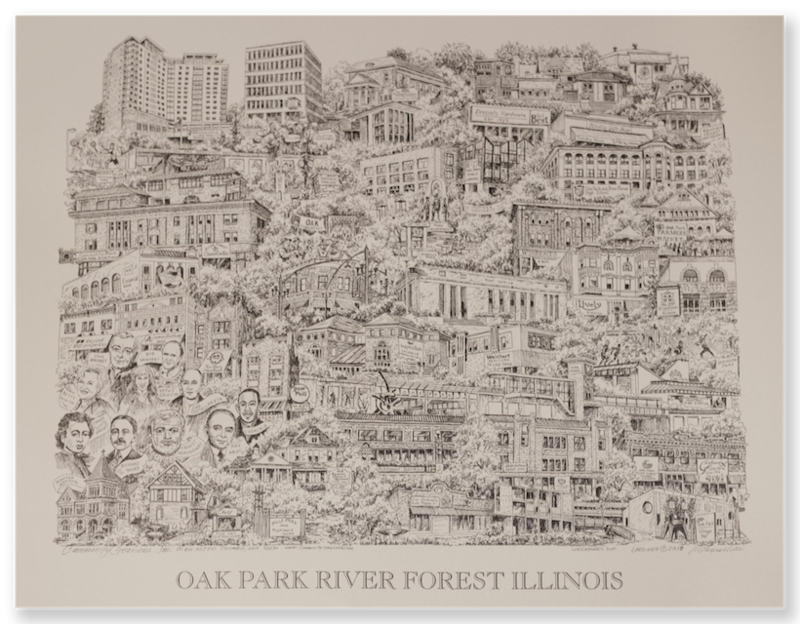 Show your pride in our local community with this beautifully hand drawn illustration of the Oak Park and River Forest area. Each 16x20 print is drawn with meticulous detail to represent our historical past including notable residents along with current landmarks, businesses, schools and museums. Perfect for hanging in your office or in your businesses' window. Come by the Chamber offices to see how it looks in a frame; it truly captures the historical essence of our local community.